Due to manufacturer's restrictions we are unable to ship Saucony products to Great Britain. Today's world is full of distraction, clutter and chaos that clouds our focus and robs us of tangible connections. Enjoy this edition of the Guide ISO; a splatter melange upper represents noise while the brightly coloured midsole depicts clarity. 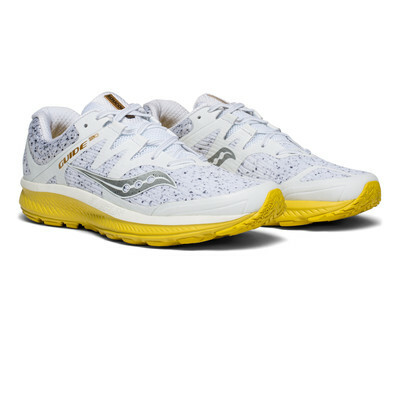 "Excellent my son loves them"
"Excellent running shoes at a great price"
The upper of the Saucony Guide ISO is constructed with a perforated engineered mesh which offers a strong, flexible fit while delivering much-needed airflow to keep the feet feeling cool and dry throughout a long run. By using ISO-FIT technology, it offers a premium fit construction which eliminates the bunching and creasing, reducing the pressure points that causes blisters and unwanted irritation. By combining a soft inner sleeve and floating support cage, it creates a dynamic fit system that adapts to the shape and motion of the foot for maximum comfort and flexibility. For additional comfort, the Guide ISO features FlexFilm material which is melded to the upper which allows for fewer layers in the shoe, resulting in a seamless, flexible feel. Additional overlays feature across the front of the toe box for added durability, and lastly, with a RunDry collar, it offers superior moisture wicking technology with a plush feel for ultimate comfort. Equipped with Saucony's EVERUN Topsole construction, the midsole delivers 83% more energy return offering a resilient and responsive ride. 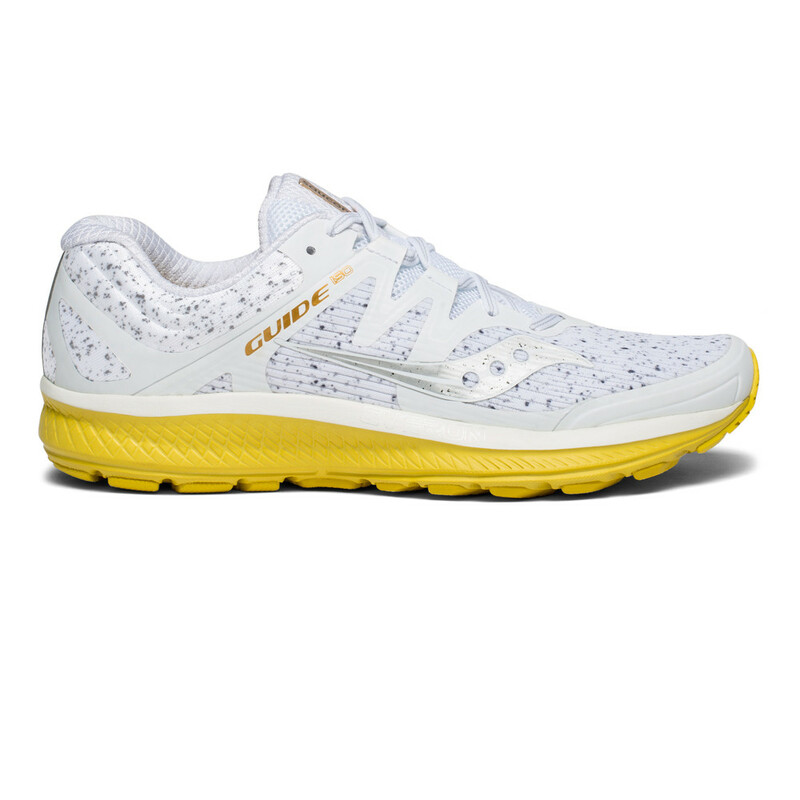 The Topsole technology places the cushioning closer to the foot offering direct, continuous contact throughout an entire run. 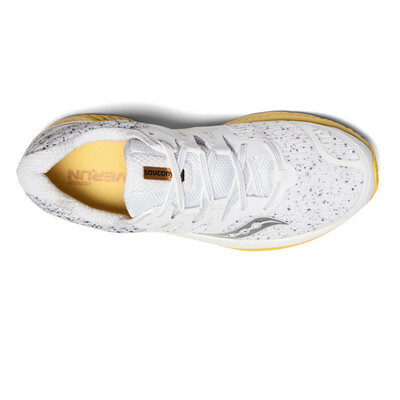 Along with the EVERUN Topsole, PWRFoam is incorporated into the midsole to provide a lively ride with excellent durability features. The cushioning in the shoe is distributed more evenly between the heel and forefoot thanks to the 8mm offset, resulting in a more balanced and comfortable position with every foot strike. The Guide ISO is the perfect shoe for those who overpronate as it is equipped with a medial post which provides effortless transition with every step. Designed with XT-900 which is a premium carbon rubber outsole material which offers exceptional traction and high-wearing properties. 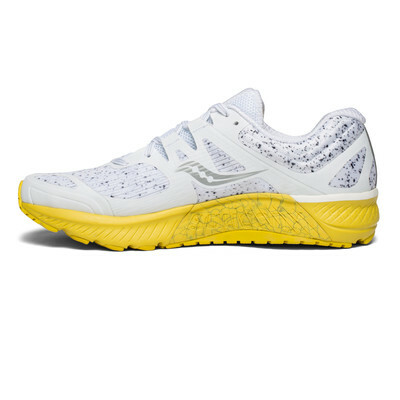 Working with the EVERUN topsole is Saucony's TRI-FLEX outsole offering increased force dispersion over a greater surface area while also delivering maximum flexibility and traction. 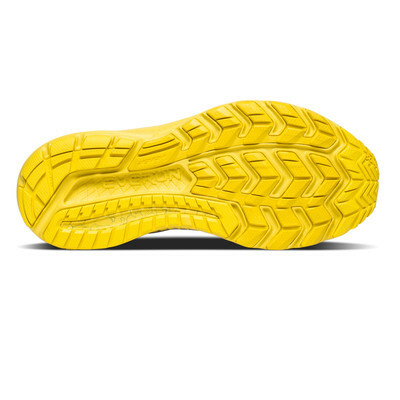 Adding to the outsole is IBR+ which is extremely lightweight with fantastic durability properties that enhances the shoes other cushioning elements, keeping you going mile after mile. In 1898, four young businessmen opened the Saucony Shoe Manufacturing Company in Kutztown, Pennsylvania. By 1910, they were turning out 800 pairs of shoes a day from their two-story brick factory on the Saucony Creek. Throughout the early and mid-1900's, running became the focus of serious athletes and at that time, there weren't any high-performance running shoes. Saucony were determined to make a shoe that could change the way people run. In 1969, Saucony found a new home in Cambridge, Mass and have been loyal Bostonians ever since. Saucony exists for runners as runners inspire them and bring them new ideas. They drive the design and engineering while keeping them competitive. This focus and passion fuels Saucony as they strive to create the best running shoes and apparel on the planet. Engineered Mesh - With perforations offering maximum ventilation. ISO-FIT - Adapts to the shape and motion of the foot for maximum comfort and flexibility. FlexFilm - Offers a seamless, flexible feel. Additional Overlays - Over the toe box for extra durability. RunDry Collar - With a moisture wicking technology for a plush feel. EVERUN Topsole - Places the cushioning closer to the foot offering continuous contact with the foot throughout a run. PWRFoam - Ensures high energy return. Medial Post - Offers a supportive fit to provide effortless transition with every step. XT-900 - A premium carbon rubber offering traction and durability. Tri-Flex - Delivers increased ground contact for greater grip and optimal flexibility at toe-off. 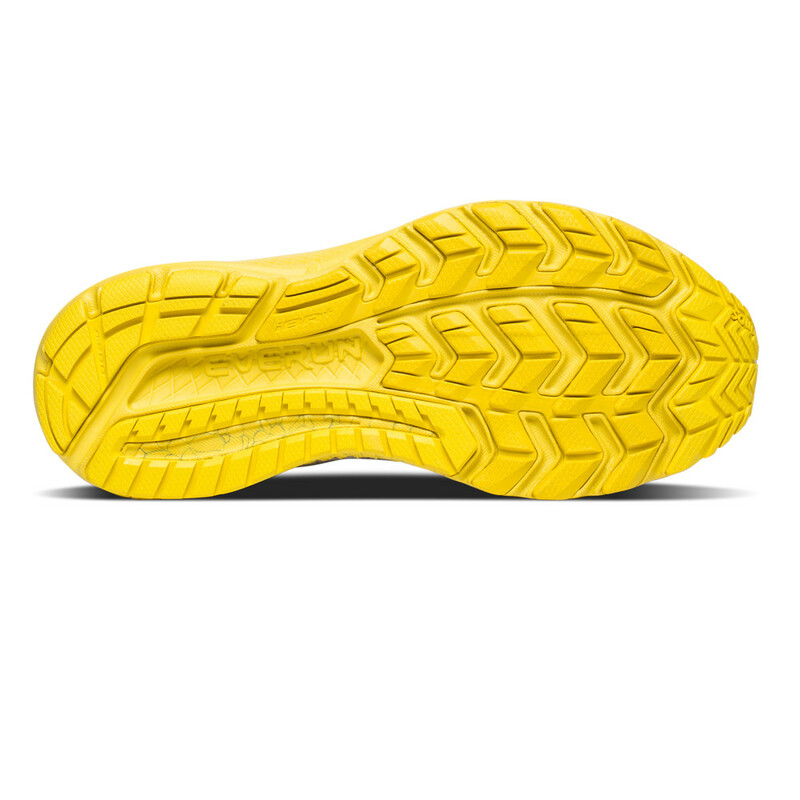 IBR+ - 33% lighter and provides more cushioning compared to standard blown rubber.